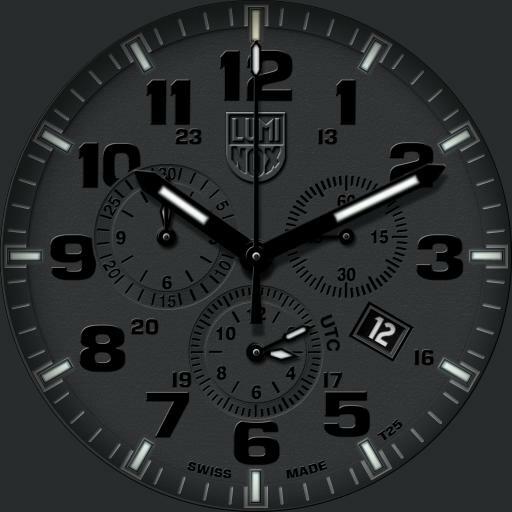 Tap bottom sub dial to cycle modes, UTC, TZ1, TZ2 and TZ3. Tap left sub dial to start/stop stopwatch. Tap seconds dial to reset stopwatch. Tap logo to open dim menu. Tap mode text to cycle modes - On Normal, Always On and Off. Tap Color text to cycle lune color - Green or Blue. Tap X to close menu. Large Chrono hand is watch battery indicator on dim.